The best quality of Battery Charger is offered by us. 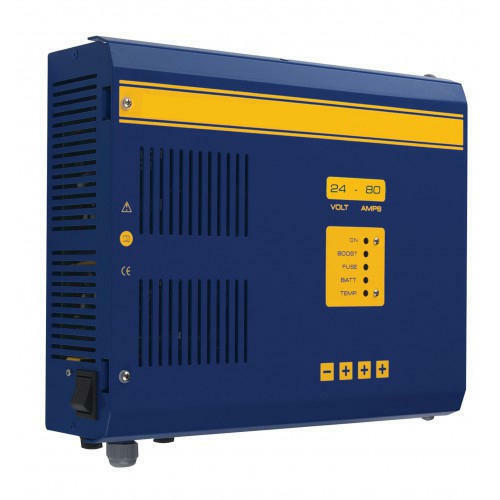 These Battery Chargers are extensively used in various suitable applications like to put energy into a secondary cell or rechargeable battery by forcing an electric current through it. Further, these products are highly effective in nature and easy to use. Established in the year 1990, we, Stackers & Movers India Manufacturing Company, Ahmedabad, are the prominent Manufacturer, Wholesaler, and Service Provider of a wide range of premium quality Hand Pallet Truck & Lift Table. The product range offered by us is inclusive of Pallet Truck, Battery Operated Trucks, Industrial Stacker and much more. Precisely engineered in compliance with the industry set standards, these products are known for their energy efficient design, longer functional life, and minimum maintenance. Furthermore, we are engaged in offering best quality Packers and Movers services to our valuable customers. These services are highly appreciated by our customers for their timely execution and optimum effectiveness. In addition to this, these services can be customized as per the specifications provided by the customers.